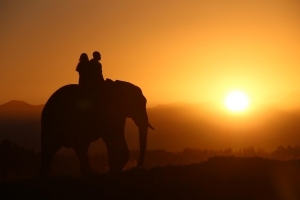 Elephant tourism is increasingly becoming part of every itinerary in Asia and Africa. Most elephants that people will see are in captivity, so how do you know whether the elephants that you are seeing are healthy? 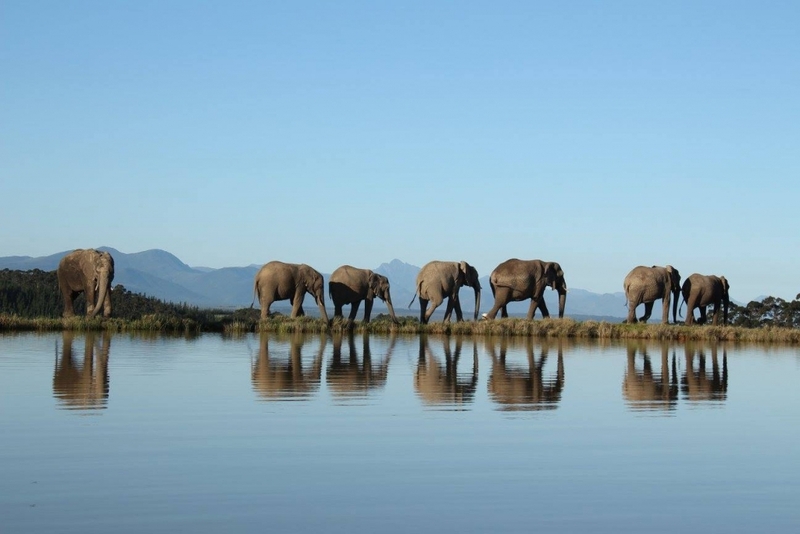 Interestingly, elephants have lots of similarities with humans in terms of their health. They can be too thin (bones showing through on their back), but they can also be obese (no signs of their back bone, sagging jaw). In fact, being obese is considered worse than being too thin, as elephants are already incredibly heavy creatures, weighing up to 5 tonnes. Extra weight not only puts strain on their muscles and bones, but also on their heart. Their hearts weigh an amazing 12 – 21 kg alone, and beat at 30 beats per minute. Increased activity or weight puts this important muscle under significant strain. Elephants are very bad at regulating their heat, and mainly rely on their ears to do this. Their ears are full of veins and the skin here is very thin, which means that when the elephants flap their ears they are not only giving themselves a breeze but they are exposing their veins to air more, hence allowing heat to leave their bodies. In addition to this, they have sweat glands around their toes – this is the only place that they will sweat. When the elephants bathe, water gets into their wrinkles and takes a long time to dry out (as the wrinkles are so big), which allows them to remain cool. Older and sicker elephants therefore prefer not to bathe, as they know it will be too cold for them. They also use their trunks to cover their heads and backs with sand and mud to act as sun block, or go the whole hog and roll around in an enormous muddy pool. Asian elephants should not be in the sun for too long, especially if they do not have access to water or dust. An elephant’s skin is very sensitive to the sun, and most babies are constantly shadowed by their mothers to avoid sun burn. Elephants in the wild tend to spend most of their time grazing – it has been recorded that some will spend 18 hours per day eating! They have a very poor digestive system, and so need to eat a lot to be able to gain the energy and nutrients required to keep them healthy. 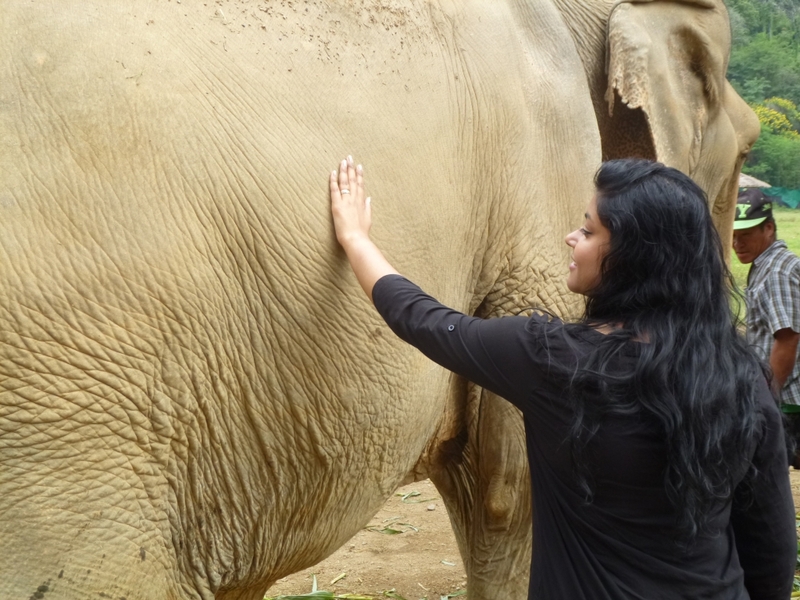 You can learn more about responsible tourism with animals on our animal welfare volunteering project page.